Marvel and Netflix have become quite cozy with each other. The phenomenal success of Daredevil and Jessica Jones has solidified their partnership and led to other comic book characters’ (Iron Fist, The Punisher, and The Defenders) being added to Netflix’s queue of original programming. While I’m looking forward to all of these superhero adventures, I’m most eager to see the upcoming series, Luke Cage. I’ve been a fan of Luke Cage ever since I was a kid. I was drawn to him because he was one of the few African-American comic book heroes and he seemed like a regular guy who wouldn’t be out of place in my neighborhood. Luke Cage, also known as Power Man, was created by Archie Goodwin and John Romita, Sr. and debuted in Luke Cage, Hero for Hire#1 (June 1972). Imprisoned for a crime he did not commit, he gains superpowers in the form of unbreakable skin and superhuman strength. Cage’s adventures were set in a grungier, more crime-dominated New York City than that inhabited by other Marvel superheroes of the time. 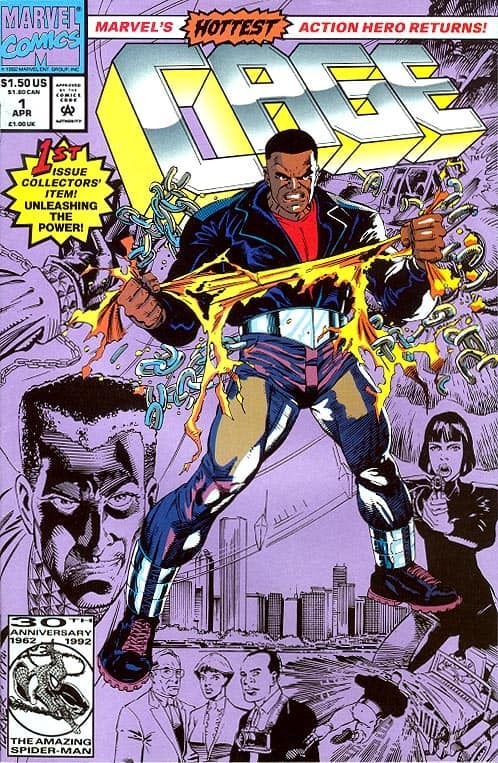 In 1992, Luke Cage was relaunched in a new series, simply titled Cage,. The revived series updated the character for the Nineties, with Cage symbolically destroying his original yellow costume on the cover of the first issue. At the time, I was a college student and I had stopped collecting comics. I happened to notice the issue at a newsstand and instinctively picked it up. After flipping a few pages, interest was piqued and I became a fanboy all over again. Subsequently, Cage was featured in various Marvel series such Alias, Secret War, The Pulse, Daredevil, and New Avengers. 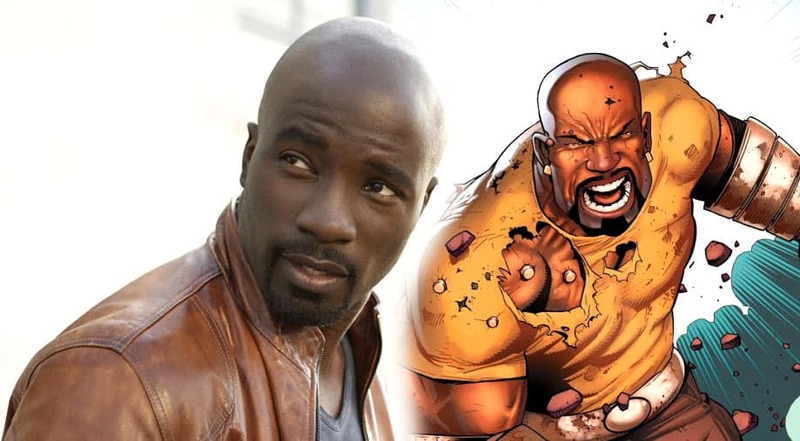 The new Luke Cage Netflix series will star seasoned actor, Mike Cutler, who put on 30 pounds of muscle for the show and currently appears in Jessica Jones (BTW – In the comic books, Cage is married to Jessica Jones, with whom he has a daughter). Culter is also excited about the role that Harlem will play in the show. The show’s cast includes Mahershala Ali, Alfre Woodard, Simone Missick, Theo Rossi, Frank Whaley, Sônia Braga. Rosario Dawson, who plays nurse Claire Temple, in Daredevil will make regular appearances on the show. According to executive producer and showrunner Cheo Hodari Coker, the show will be dealing with some deep subject matter. “I would like this to be The Wire of Marvel television,” he said in an interview with Entertainment Weekly. To enhance Luke Cage’s gritty vibe, Ali Shaheed Muhammad from A Tribe Called Quest, and Adrian Younge will produce a hip-hop soundtrack to accompany the show. Marvel’s Luke Cage is scheduled to debut on Netflix on September 30th.